The Chevy Camaro has been an American staple since rolling down the assembly line for the 1967 model year. Owning such a cool car was the dream of many youngsters and grown-ups alike. The Camaro has sported several different looks over the years. One thing’s for certain though, when seeing a Camaro you know what vehicle you’re staring at. These popular cars are an example of what many of us want in a muscle car today. One of my first loves was my cousin’s white Z28 with t-tops. That crush still carries on today as I often think about having an 80’s Iroc-Z all for myself. That day can’t come soon enough, but until it does, I’ll continue wishing for one just as I did when I was a young buck. Today the design of the current Camaro resembles its original roots and borrows styling cues from the first generation. The Camaro is a tough looking, great sounding, tire burning car that’s fun for all ages. If the sound of an American made V8 doesn’t make you swoon for the redline, then I’m not sure you’re reading the right article. 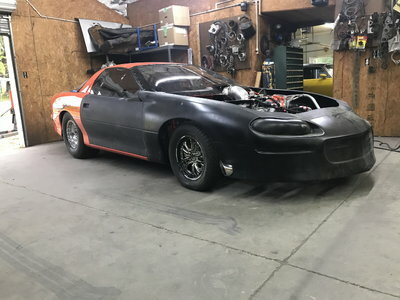 Heck, I’ve broken more laws in a Camaro than just about any other car. I’m betting some of you can say the same, unable to hide the smile on your face. It seems like just yesterday Travis and I were in his yellow ’85 Iroc-Z with the needle pegged so far past 85mph a person could only guess just how fast we were going. That didn’t matter to us at that time, at least not in the way it should have. We were just two carefree teenage boys enjoying one of the many amazing days we had blasting down the road in what has become one of America’s most beloved muscle cars. This killer green machine I found recently looks to be a good candidate for a restoration. Included is a numbers matching 327 with a four-speed transmission. 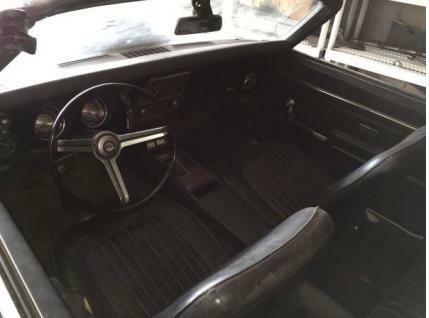 The owner also has the original dealer paperwork giving this Chevy the authenticity a prospective buyer wants to see in a vintage muscle car. I’m of the opinion this convertible needs to be pulled out of the garage once and for all and given a fresh coat of Sequoia green paint. 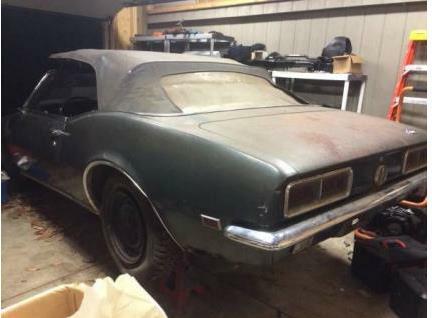 Restored, this Chevy Camaro RS could be one really nice ride for the person willing to take the time and money needed to bring this beauty back to life. F.Y.I. The Reverend Martin Luther King and Robert F. Kennedy were both tragically assassinated in 1968. Automotive: The Ferrari 356 GTB/4 or otherwise known as the Ferrari Daytona first made its appearance in 1968. 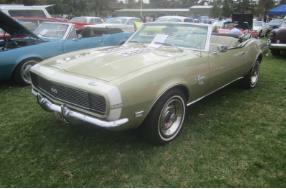 In the Movies: The ’68 Camaro has appeared in movies like “White Lightning” and “2 Fast 2 Furious“. Fun Fact: Running a Super Bowl Ad in 1968 set a company back more than $50k for that time slot. 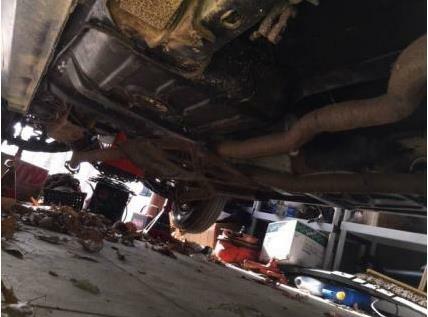 IF I had the $30+K needed to rebuild this ’68 Camaro, I’d do it in a 4 second 1/4 mile! While I’m more of a 70’s Cadillac guy, I do enjoy the look, power, and thrill of the iconic Camaro. Would it be horrible if you chose a different paint color? Green is alright, but I am more partial to a Camaro Blue (Baltic, or Royal) with gold+flake striping work.